This comet was about magnitude 5.0, traveling to the southwest of the orange star Diphda (AKA Beta Ceti). The teal cloud around the comet is its coma, which is gas and dust being heated off the comet by solar radiation. 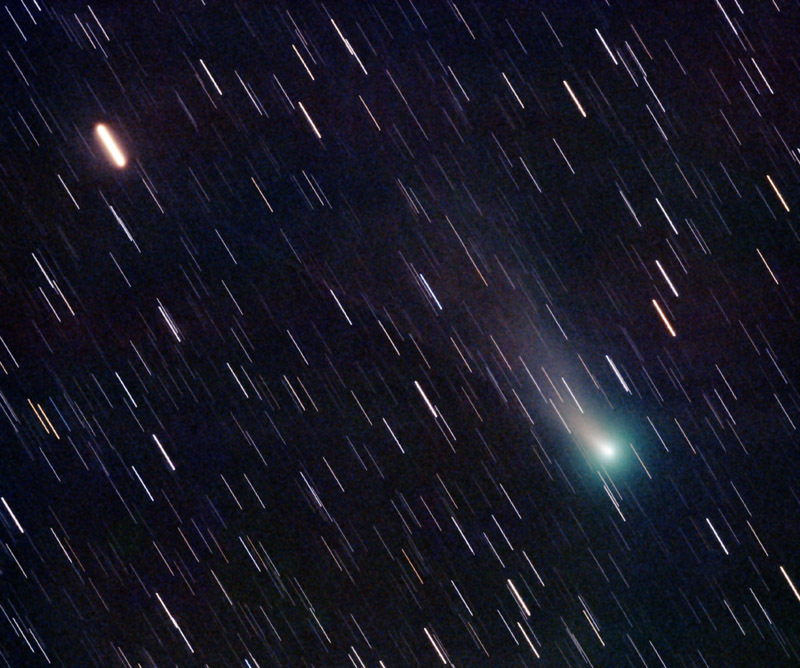 The broad pinkish tail is gas and dust from the comet being pushed away by solar wind. The faint thin straight bluish trail from the comet toward Diphda is the ion tail, which is ionized gas being pushed directly away from the Sun by its radiation pressure.